The estimated number of children less than 18 years old mid 2016 is about 2,207,535 children in Palestine, representing about 45.8% of the population, the Palestinian Central Bureau of Statistics (PCBS) said on Sunday. It said that among those children there are 1,127,283 males and 1,080,252 females, adding that the number of male children in the West Bank totaled 650,709 and the number of female children totaled 624,320. Meanwhile, in the Gaza Strip, the number of males totaled about 476,574 while the number of females amounted to 455,932. PCBS said, according to WAFA, that whereas children constituted 49.6% of the population of the Gaza Strip, they represented 43.4% of the total population of the West Bank. According to the Defense for Children International Palestine (DCIP), data indicated that 2,634 children were detained during the year 2015, in addition to 1,260 children being detained during the first four months of the year 2016. 400 children, other than those who entered youth stage during their stay in Israeli jails, are still in prison . According to DCIP records, 31 children were killed by Israeli forces during the 2015, whereas 32 children were killed during the first ten months of 2016. About 2,500 citizens lost their homes, as they were subject to the demolition policy of the Israeli occupation. During the first half of the year 2016, 279 homes and housing units were demolished, in addition to the demolition of 341 establishments. The number of the sponsored children by the UAE Red Crescent in the occupied West Bank reached 3,967 children, and the highest number of sponsored children was in the Hebron governorate, as it reached 1,095. In another aspect, the number of children who were referred to “behavior control units” in the West Bank totaled 1,481 children, while the number of children who were admitted to the Dar Al-Amal Institution for Rehabilitation and Protection (Ministry of Social Development) was 160 children, in 2015. 4.5% of the total number of children aged 10-17 years were working with or without pay in 2015; 5.7% in the West Bank and 2.8% in the Gaza Strip. The number of male children engaged in work was higher than working females, as follows: 8.5% of male children compared to 0.4% of female children. The proportion of children attending school and also engaged in child labor was 2.3% (2.8% in West Bank and 1.4% in Gaza Strip). In 2015, the average of daily wage for working children aged 10-17 years reached 48.7 New Israeli Shekels (NIS), and the weekly working hours were 44.4. The number of students for 2015/2016 academic year in Palestine reached to about 1.193 million students (1.053 million in the elementary level and 140 thousands in the secondary level), while the number of children enrolled in kindergarten, in the same academic year, arrived at about 141 thousand boys and girls. The drop-out rate from elementary school for the 2014/2015 academic year was 1.5% among male children, compared to 1.1% among females. In the secondary level, the rate was 2.1% of males compared to 1.8% of females. Failure rate at elementary schools, during 2014/2015, was 1.2% of males and 0.9% of females. At the secondary level, the rate was 0.4% of males and 0.3% of females. 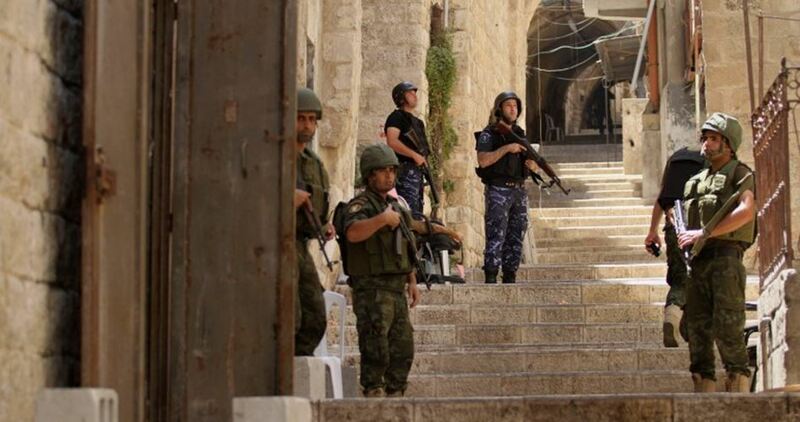 The PA security forces on Saturday evening raided several homes in the Old City of Nablus to arrest citizens. Local sources told the Palestinian Information Center (PIC) that PA security soldiers stormed al-Haddadeen neighborhood and raided homes, including one belonging to the family of Istitiya. They added that PA officers interrogated citizens on the streets of the neighborhood and had altercations with them. 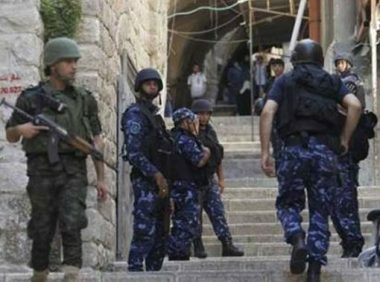 Recently, the PA security apparatuses have launched a large-scale campaign to arrest gunmen in different West Bank areas, including the Old City of Nablus. Violent clashes broke out once again on Friday evening between young men and soldiers from the Palestinian Authority (PA) security forces in different neighborhoods of Nablus city. 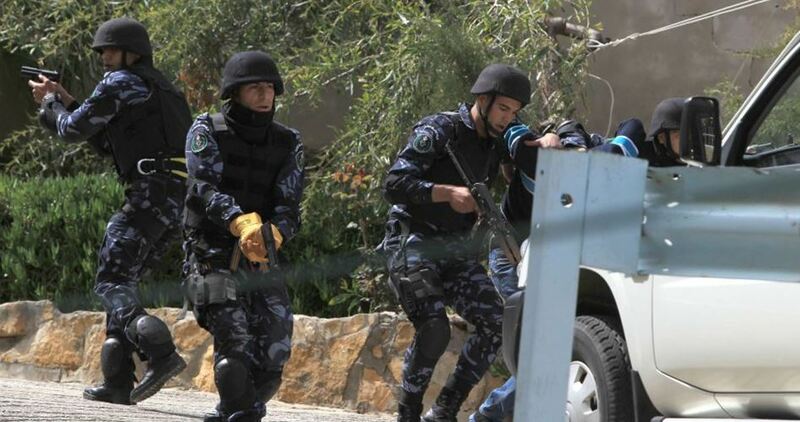 They added that following the events, a large number of security elements were deployed in the neighborhood of Ras al-Ein and other central areas of Nablus. An atmosphere of anger had prevailed in Nablus following the death of a woman during recent armed clashes between a PA security force and local gunmen. Armed clashes broke out on Thursday evening between young men and soldiers from the Palestinian Authority security forces in Fari’ah refugee camp, south of Tubas city. Local sources told the Palestinian Information Center (PIC) that a PA security force arrived at the entrance to the camp to open a road closed by the residents when local young men hurled stones at them. The sources added that the situation suddenly escalated into a shootout with the soldiers, noting that no one was injured in the gunfight that lasted for several minutes. Several violent confrontations had taken place between young men and the PA security forces at the entrance to the camp. The PA security campaign in the camp and other West Bank areas, which involved raids on homes and arrests, angered the residents and provoked them into closing the road leading to the entrance. Al-Quds Brigades, Jihad Movement’s armed wing, mourned one of its members in a statement issued on Thursday. 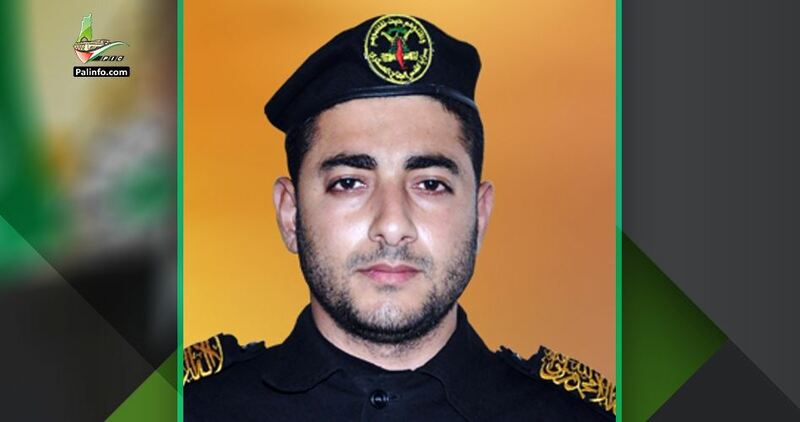 The statement identified the martyr as Adnan Said, 27, from Karama area, north of the Gaza Strip. Said died Thursday following a sudden cardiac arrest, the statement affirmed. The Brigades concluded by stressing that martyrs’ blood would pave the way for the liberation of all Palestine. Dozens of Palestinian women took to the streets in Nablus city to the north of occupied West Bank on Wednesday afternoon in protest against the killing of a local woman during armed clashes between PA security forces and gunmen. The female protesters chanted slogans against PA human rights violations and repressive campaign in the city. One of the protesters was arrested by PA forces during the sit-in. Several checkpoints were erected at the entrances to the city to prevent neighboring towns’ residents from joining the protest. 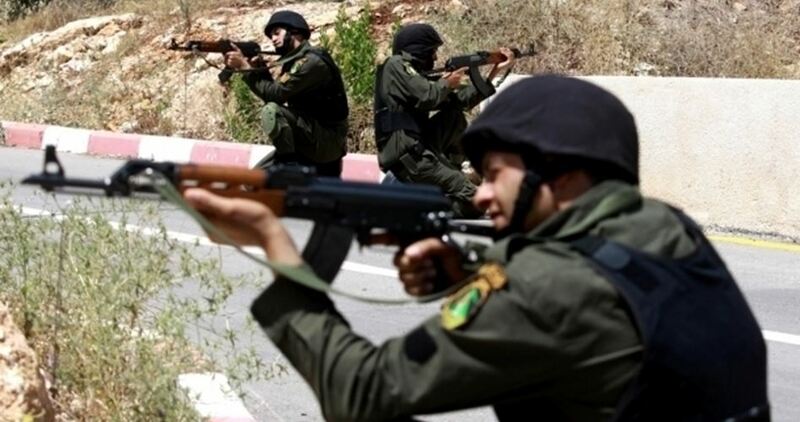 Earlier Wednesday, a Palestinian lady was announced dead following clashes between the PA forces and gunmen in Nablus. The Palestinian Center for Human Rights (PCHR) follows up with concern the security chaos in Nablus, the latest of which were the clashes between Palestinian security services and a number of armed persons today morning. These latest clashes resulted in the killing of a woman inside her house and injury of five Palestinian police officers. PCHR calls upon the Attorney General to investigate this incident, publish the results and take the necessary measures against those involved. 5. Anwar Isma’il al-Masri (47), who sustained a shrapnel wound to his finger. At approximately 06:30, the clashes intensified, as a result, a bullet penetrated a window of a house belonging to Hilda Bassam al-Osta (38). The bullet hit Hilda in the chest, due to which she died even before she was taken to hospital. In a subsequent development today morning, outraged persons organized a protest at Nablus intersection in the center of the city and closed the stores. The security officers confronted them and opened fire in the air and fired tear gas canisters. Moreover, they chased a number of civilians into the Old City streets. 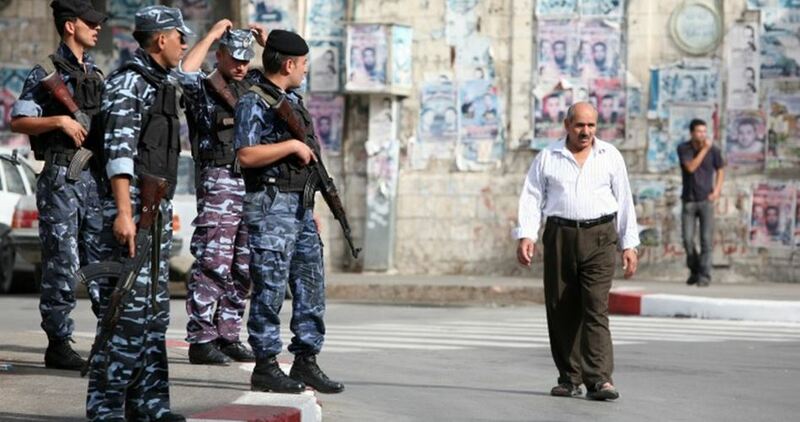 Palestinian security services declared Nablus Old City and intersection as closed military zones. In his comment on the incident, Nablus’ Mayor major-general Akram Rjoub stated to local media, “Armed persons attacked Palestinian security officers after Israeli forces had finished their incursion into the city. As a result, a number of Palestinian security officers were seriously injured while a woman, who was in her house balcony, was killed.” He added that investigations were ongoing to identify the source of the bullet that killed the woman. 2. Is concerned over the deteriorating security chaos, especially in Nablus, and the increasing number of victims due to the use of firearms; and Calls upon the competent authorities to take the necessary measures to put an end to the proliferation of weapons, maintain the safety and security of civilians and meet the human rights standards when dealing with fugitives from justice. A Palestinian lady was announced dead at dawn Wednesday following clashes between the Palestinian Authority (PA) forces and gunmen in Nablus. 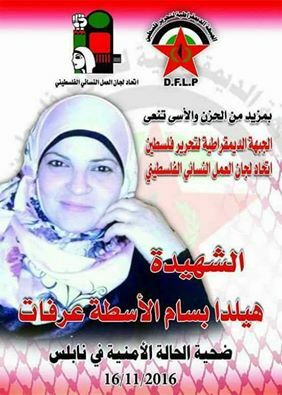 Medics said 38-year-old Hilda Bassam Al-Asta breathed her last at the hospital after she succumbed to the chest wounds she sustained in the clashes that rocked the Old City of Nablus. Palestinian sources said three PA officers were wounded in the clashes, including one in a critical condition. Violent clashes broke out at dawn between the PA forces and unidentified gunmen in al-Aqaba neighborhood, in the Old City of Nablus. Eye-witnesses said the clashes broke out abruptly at 5 a.m. The witnesses attributed the tension to the detention of Halawa family members in Jericho for a couple of months. Medics said a member of the special police units was received at Nablus Speciality Hospital to be urgently treated for the critical neck wounds he sustained in the confrontations. A PIC news correspondent said sounds of heavy bullet fire exchange were detected all the way through the clashes. The PA troops summoned reinforcement at the clash scene. PA troops have been deployed in al-Aqaba neighborhood since the outbreak of the deadly hostilities last August, which killed a number of Palestinian citizens and PA officers.